Kitchen and Residential Design: Tile of Spain asked me "Wanna go to Spain?" Tile of Spain asked me "Wanna go to Spain?" And I responded with a resounding ¡Claro que sí! Play this video and then read this post as the video plays. Spain has to have the liveliest national anthem of any I've ever heard. That's the Marcha Reale if you're taking notes. I've been asked to go on Tile of Spain's Reign in Spain Tour in 2011. I'm one of the journalists who'll be accompanying the lucky winners of Tile of Spain's Reign in Spain Contest. I wrote about the Reign in Spain Contest around two weeks ago and if you're a US-based architect or designer who hasn't entered yet, please do! 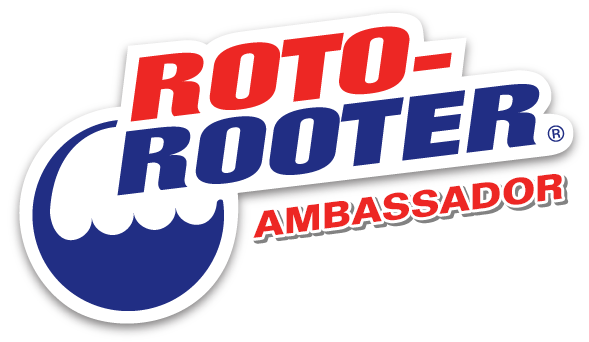 You can find all the information you'll need and an entry application by following this link. On February 4th, 2011, I'm getting on a plane bound for Madrid. From Madrid, my traveling companions and I will board the Ave, Spain's high-speed train system. 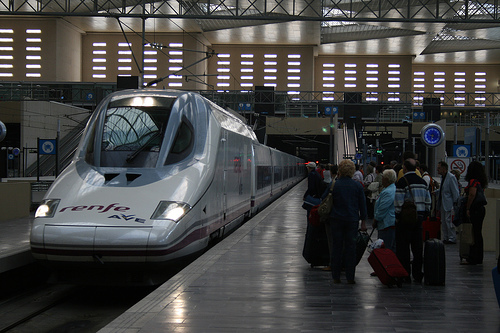 The Ave will take us to Zaragoza. 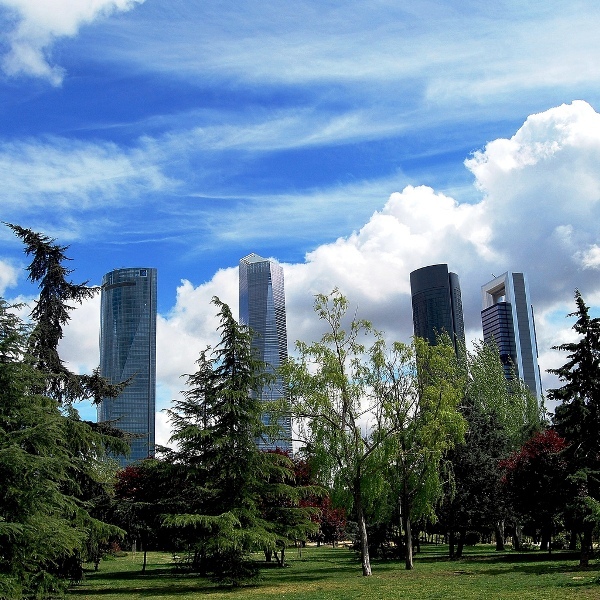 Zaragoza is the fifth largest city in Spain. Caesar Augustus established it some time around 25 BC. It remained a population center and rose to power as the largest Moorish city in Northern Spain in the centuries that followed the collapse of the Roman Empire. It remained a Moorish city until the early 1100s. 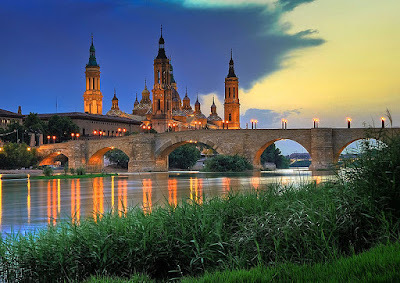 I am salivating at the chance to get up close and personal with Spain's surviving Moorish architecture and from what I can tell, Zaragoza will deliver more of it than I can imagine. From Zaragoza, we're heading to Teruel. Teruel is the smallest of Spain's Provincial capitals. It traces its beginning to the latter days of Moorish rule in Spain in the 12th Century. 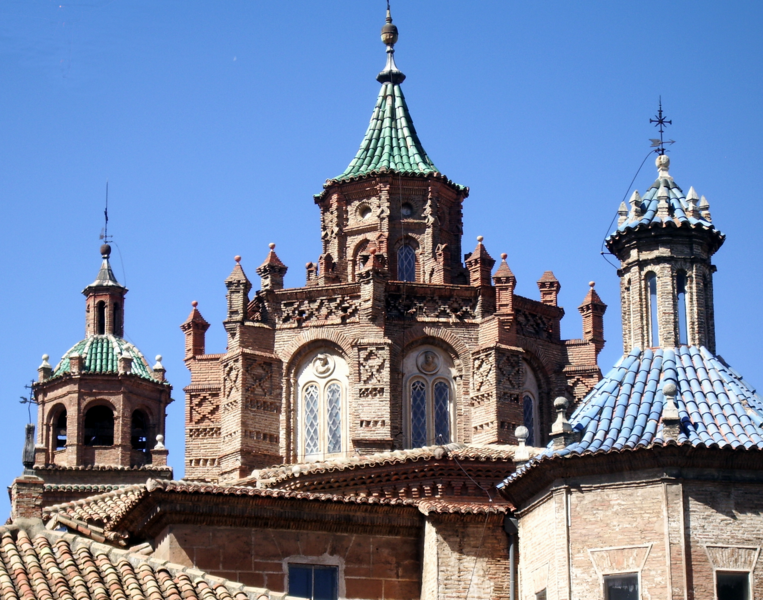 It's a Unesco World heritage site for its many examples of Mudéjar architecture. Mudéjar was a style of Moorish-lite architecture and arose at around the same time that Gothic architecture was coming to be in France and Germany. Mudéjar was an important transitional style and its contributions to the great cathedrals of northern Europe has been largely overlooked. 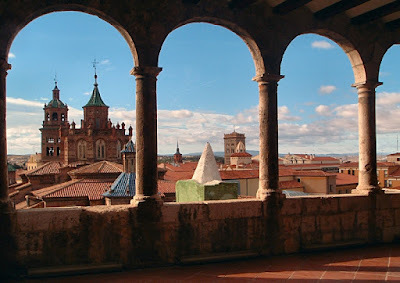 Teruel promises to be an architectural wonderland. In addition to the great examples of Mudéjar, there are a variety of buildings in Gothic, Baroque and early 20th Century styles. Any time I can look out over a thousand years of development in one sight line I'm a happy man indeed. From Teruel we're off to Valencia, Spain's third-largest city. Valencia also started out as a Roman outpost and they called it Valentia then. Then being in 137 BC. It's since been occupied by the Visigoths, the Moors and finally the Catalan and Aragonese. Every one of those cultures has left fingerprints all over the city and I can't wait to see as many of them as time allows. For all of Valencia's history, it doesn't seem the least bit shy about embracing not just today but tomorrow as well. The City of Science and Arts shown here is a pretty loud announcement of the Valencian peoples' belief in their future. While we're in Valencia we'll attend the actual reason for this trip, a trade show known the world over as Cevisama. Cevisama is a world showcase devoted the best and brightest in the worlds of tile, bath fixtures, kitchen fixtures and natural stone. Spanish industries are on the march and it's going to be a real thrill to see these products on their home turf. All of this is being made possible by Tile of Spain, an umbrella brand for ASCER, the Spanish tile Manufacturer's Association. I'm honored and grateful to have been selected for this once in a lifetime opportunity to experience the culture, food, architecture and industry of Spain. ¡Viva la España! I cannot wait to read your reports. I'll be filing dispatches from all over in January. What a ride! That's final, I am officially green. I'll be saturating the internet with updates so thoroughly you'll feel like you're there with me. Have you ever been to Zaragoza or Valencia? ¡Felicitaciones! Can't wait to read your posts about the sites and culture of Spain and Cevisama! What a wonderful opportunity. Being a lover of tile, España is a place I yearn to visit. 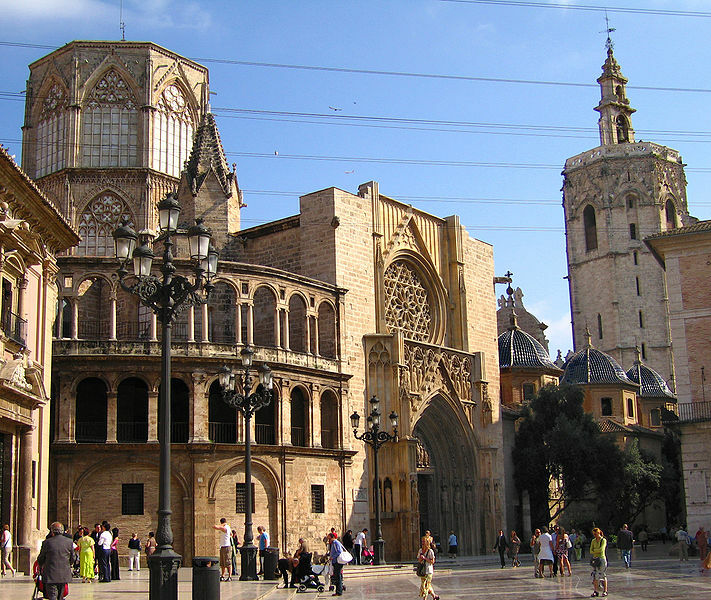 And with the warm gentle people and places like Zaragoza, Teruel, Barcelona, Madrid, & Mallorca, who wouldn't? Plus Cevisama! Thanks Bill, I've been humming La Marcha Reale for weeks already. I cannot wait to see all of that ancient tile and then see the new stuff at Cevisama. Talk about context! I was in Spain so long ago, but still remember how amazing it was -- the architecture, the landscape, the food, the language, the culture. Have a wonderful time!! Thanks Erica, I can't wait to see how much it's changed since the dark days of Franco. My head's spinning Kelly. 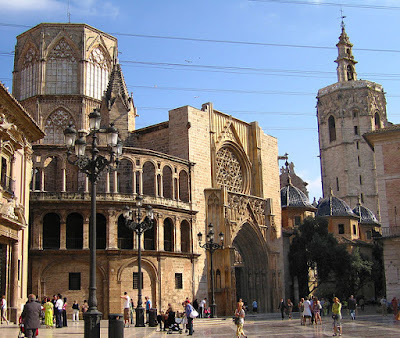 Valencia has Gothic and Moorish side by side. Throw in some Baroque for good measure and I'm going to have a stroke. Wow, that's awesome! I wish people would invite me to go on cool trips to fascinating places! Please don't have a stroke! Congratulations a hundred times over!! 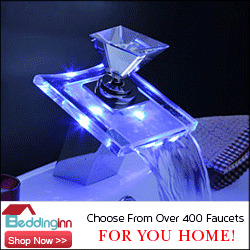 You deserve every bit of good fortune that comes your way. Kelly: Oh you get around plenty. Who's getting ready to go to Budapest? Mel: Thank you. I just invoked your name to Ms. Kathy Howard Shafer in the comments that followed my post today about Ginkgo leaves. I'll keep my eyes peeled for your Spanish lovers while I'm over there. I love that expression by the way. Zaragoza is the home of Serrano ham, which I love when I can find it. I can't wait to be wallowing in it in a few months. Autumn re-runs; Break a CFL? Don't panic. A new, new Tolomeo. Sort of. Tile of Spain is asking "Wanna go to Spain?"